Gas Furnace Repair in Annandale Virginia. 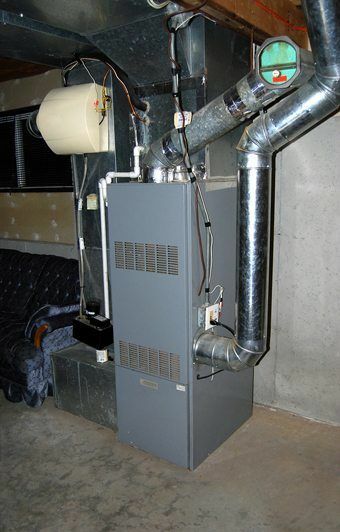 Gas Furnace Installation, Replacements, and Maintenance from Perry Aire Services. We realize the average low temperature in the Northern Virginia and Washington DC areas, between the months of October and March is 31 degrees, and having an efficient, warm, and well running furnace can save you hundreds of dollars! When your furnace needs repair, count on us to make your family’s home comfort our #1 priority! We are available around the clock to make sure that your home and family stay toasty warm on even the coldest winter night and we service most makes and models of furnaces and heating systems. Our experienced and highly-trained HVAC technicians specialize in Trane furnace repair and gas furnace repair. We’ll inspect your existing furnace to diagnose the problem, and if it can be repaired, we’ll provide you with a repair estimate before beginning work. After the repair has been made, we’ll thoroughly test your home furnace to ensure that it’s performing properly. Perry Aire Services provides over 35 years of experience and expertise in HVAC, Heating, Furnace repair and services, for both commercial and residential customers. Maintenance service plans for gas, electric, and propane furnaces. Gas furnace inspection, repair, replacement and upgrade services. Electric furnace inspection, repair, replacement and upgrade services. Propane furnace inspection, repair, replacement and upgrade services. We recommend and use the very highest of quality furnace products based on your specific needs. Our top furnace products: Carrier (Infinity, Performance, Comfort, Edge, Hybrid Heat) Bryant, Trane (XL, XR, XB, XV, Hyperion, Geothermal), American Standard, Ducane, Heil, Lennox, Armstrong, Amana, Goodman, Payne, First Company, York. If you are located in the Arlington, Alexandria, Fairfax, Fredericksburg, Prince William, Spotsylvania, Stafford, Vienna, Woodbridge, Virginia, and Washington DC, Maryland areas and have any questions about our furnace services and repair please contact us today! At Perry Aire, our professional Arlington, Virginia, Washington DC, Maryland HVAC heating technicians have all your furnace repair services taken care of!